Thank you very much for choosing Reykjavik accessible WordPress theme by WebMan Design! that are beyond the scope of the user manual, please join WebMan Design Support Center. Enjoy your Reykjavik theme! If you like this theme, please support it by leaving a review at WordPress.org repository. Reykjavik requires WordPress version 4.7 to work properly. On "Add Themes" screen use a search field to search for "Reykjavik". Now you can go to Appearance » Welcome page for information on how to set up your website (and the theme). Also, please pay special attention to your website image sizes setup. On your server navigate to YOUR_WORDPRESS_FOLDER/wp-content/themes/ folder. Delete the existing reykjavik folder (or create a backup just in case). Copy the unpacked theme reykjavik folder from your computer (from step 1. above) to the YOUR_WORDPRESS_FOLDER/wp-content/themes/ on your server. Anatomy or What, Where and How? Can be customized in Appearance » Customize » Theme Options » Layout. You can set boxed or fullwidth layout, set custom website width. You can also use any font on the website. All the theme related customization options can be found in Appearance » Customize » Theme Options. Colors can be customized in Appearance » Customize » Theme Options » Colors: Header. Layout (fullwidth or boxed) can be customized in Appearance » Customize » Theme Options » Layout. Can be customized in Appearance » Customize » Site Identity. Don't forget to define your logo image max height. This is a mobile-ready primary menu location. Can be customized in Appearance » Customize » Menus. If you want to disable the mobile menu functionality, you can do so in Appearance » Customize » Theme Options » Others » "Disable mobile navigation". This is a secondary menu location. This is a social links menu location. Once you set the social links menu correctly, you can also display social links anywhere on the website using "Custom Menu" widget. A specially styled, main, dominant page title section. You can control its display with page template or custom fields. Colors can be customized in Appearance » Customize » Theme Options » Colors: Intro. For information about displaying intro image and/or video please read section about page intro. Displays a page, post, custom post type, archive page, search results page title. If you want to disable this title, use a page template or custom fields. Please use WP Subtitle plugin to allow this feature. Displays post or page excerpt or archive page description (a taxonomy term description, such as category description, or author biographical info, if previewing an author archive). A widgetized area, its content can be set in Appearance » Customize » Widgets. You can control the appearance with a page template or a custom field and Content Aware Sidebars plugin. You can also enable this widgetized area for archive pages in Appearance » Customize » Theme Options » Layout. The theme enhances Text widget with a custom icon and/or featured image setup fields. A content area - displays page, post and custom post content, page builder content, blog and other posts listings. Colors can be customized in Appearance » Customize » Theme Options » Colors: Content. Footer area of the website. Colors and background image can be customized in Appearance » Customize » Theme Options » Colors: Footer. Layout (making it fullwidth or boxed) can be customized in Appearance » Customize » Theme Options » Layout. Use a plugin to display breadcrumbs navigation. If Breadcrumb NavXT plugin is installed and activated, you can control the breadcrumbs display in Appearance » Customize » Theme Options » Layout. Main content of footer consist of Footer Widgets area, where you can add widgets in Appearance » Customize » Widgets. You can control the appearance with Content Aware Sidebars plugin. Content can be customized in Appearance » Customize » Theme Options » Texts. Set up your website front and blog page in WordPress Appearance » Customize » Static Front Page settings (or in Settings » Reading). Page featured image is displayed in intro section. On front page this can be replaced with video background. Also, please note that front page displays intro section in different style - read more in Pages section of this documentation. Featured image is also displayed in the list of child pages. Please see "List child pages" page template for more details. Please see FAQ section for more information on image sizes. If you set a page excerpt, this will be displayed in intro section of the page. Excerpt is also used in a list of child pages. Please see "List child pages" page template for more details. For more info please see Pages section of this user manual. There are various page templates available for use with this theme. Such as when you're creating a special landing page and would like to remove header and footer from the page, use the "Blank" page template. 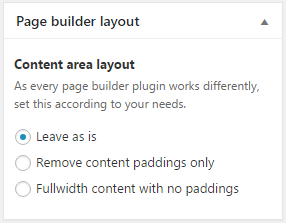 For creating a more complex page layouts please use a (any) page builder plugin (we recommend using powerful, optimized and easy to use Beaver Builder page builder plugin). You can optionally display a sidebar on a page, which is a widgetized area and its content can be set in Appearance » Customize » Widgets. If you would like to replace sidebar on a specific page with a different one or just remove it, use Content Aware Sidebars plugin. It is a great way to control and alter your website layout. Please see "List child pages" page template for more details. By default WordPress displays blog posts listing on your website homepage. If you would like to set up a static homepage and use a different page for a blog posts listing, set it up in Appearance » Customize » Static Front Page settings (or in Settings » Reading). Intro section on archive pages display the archive title and archive description (a taxonomy term description, such as category description, or author biographical info, if it is an author archive). You can customize the archive title using Archive Title plugin. By default all posts display a post featured image. If you would like to display subtitles, use WP Subtitle plugin. Automatic WordPress post excerpt can be overridden per post basis. The theme displays sidebar on each single post page, single custom post type page, blog page, archive page and search results page. Sidebar is a widgetized area, its content can be set in Appearance » Customize » Widgets. This page has a special layout, different from post archive pages, to allow for easier scanning. In case you need to refine your search, there is a search form conveniently displayed on top of search results listing. Each post type displays differently in search results page. You can also display intro widgets here or hide the post intro section altogether using post type page templates. If you set a custom post excerpt, it will be displayed in posts listing and in intro section on a single post page. It is recommended to set up a post featured image for each post. A featured image is displayed in posts listing and also in intro section on a single post page. A post content, optimized for readability. You can use "Formats" button for some special styles. If you separate a post into multiple parts, there will be a table of contents automatically generated. To enable post, custom post and/or WooCommerce products sharing buttons (can be previewed on the theme demo website), please use Jetpack plugin's sharing module. The theme is compatible with several content options provided by Jetpack plugin. You can hide certain post meta information or display post author biography below post content. Comments are useful for blog posts to engage discussion with your website visitors. You can set them up in Settings » Discussion and disable them also per post basis. However, if you do not want to use comments for specific post types, we recommend setting up Disable Comments plugin. Displays links to previous and next post. The theme displays sidebar on each single post page, blog page and archive page. If you would like to replace sidebar on a specific post with a different one or just remove it, use Content Aware Sidebars plugin. It is a great way to control and alter your website layout. You need to install plugins that add a custom post types. For example, you can use Jetpack plugin to enable Portfolios and Testimonials custom post types functionality. If you would like to remove the intro section for the custom post type, use a dedicated post type page template or a specific custom field. The theme adds support for custom post excerpt for Jetpack Portfolios. The excerpt is then displayed in intro section on custom post type single page, but not in Portfolio archive pages (list of projects). It is displayed differently for each custom post type. We suggest to set them for each post. You can disable it on single post page or use a custom one. Portfolio post content. You can use "Formats" button for some special styles. To enable custom post sharing buttons, please use Jetpack plugin's sharing module. The theme displays sidebar on each single custom post type page and archive page. The theme is compatible with Jetpack plugin's Portfolios and Testimonials custom content types and you can display archive pages for these. You need WooCommerce plugin to use this functionality. Product archive pages (such as a product category page) intro section display is set according to your Shop page setup. Single product page intro section contains shop breadcrumbs navigation, product title, product price. It does not display a product featured image. If you want to display an image in intro section on single product page, you need to use a dedicated custom field. If you would like to display subtitles for products, use WP Subtitle plugin. You can set a custom content for your shop page. The content will be displayed above the products list on main products archive page then. If you set widgets in "Shop Sidebar" there will be a sidebar displayed on all product archive pages and products will be displayed in 2 columns instead of 3. If you are displaying product categories, the theme conveniently separates categories from products list (which is a WooCommerce default display) for you, displaying categories first. Please note that you need to have a "Show categories & products" set for Shop Page Displays (and "Show subcategories & products" set for Default Category Display) in your WooCommerce products display settings for this feature to be enabled. The Shop sidebar is displayed on product archive pages only if you set some widgets in it. There is no sidebar displayed on single product page to reduce a clutter and focus visitor on the product details and purchase action. Shop Sidebar is a widgetized area, its content can be set in Appearance » Customize » Widgets. Product featured image is displayed in products list, as well as on single product page. It is the main image displaying your product, so please make sure you always set it up. If you would like to display more images of the product, use a product image gallery. The theme is also compatible with WooCommerce Product Image Flipper plugin which displays the additional image (the first one from product image gallery) when hovering a product in products listing. The theme changes the hover effect of the plugin to a custom one, though. Set this on your product edit screen. Please see WooCommerce documentation for more info. To enable product sharing buttons, please use Jetpack plugin's sharing module. Please note that the product description width is set for best readability. If you would like to override this, use a page builder to build the product description content. You can also use a page builder to create some interesting product description layouts. You can use any page builder plugin (but we recommend using powerful, optimized and easy to use Beaver Builder page builder plugin), but please note that you will probably need to enable the page builder for WordPress posts first. (For Beaver Builder go to Settings » Page Builder » Post Types.) Also, please note that before enabling page builder on the specific product, you have to add some text to product description (content area) first. The theme provides a convenient checkout guide displaying steps of purchase process on a cart page, checkout page and order received page. You can enable or disable it in Appearance » Customize » Theme Options » Shop. Once you set these pages according to WooCommerce documentation, you can treat the cart and checkout page the same way as other WordPress pages. Please see WooCommerce documentation for more info on how to set up this page. Please understand that there are thousands of plugins available for WordPress and it is not possible for any theme developer to test the theme with all of them. Reykjavik was tested with most of the popular plugins. You can install any custom plugin following the WordPress instructions (or following the plugin documentation). The theme is fully compatible also with Beaver Themer to create your own custom header, footer, post, archive, product,… layouts! Check out the plugin information below. If you are using Beaver Builder page builder, you can benefit from predefined theme page builder row templates. Just install and activate the WebMan Templates plugin and all the predefined templates will be available in Beaver Builder when you edit the page. The plugin automatic installation will be suggested to you after you activate the theme, alternatively you can install the plugin manually. This is a paid add-in for Beaver Builder plugin which lets you create layouts for archive pages, template an entire post type, 404 and search results pages, and create parts like headers and footers. This theme is 100% compatible with this flexible, advanced plugin so you can create any website you like with no coding at all! Read more about Beaver Themer at the plugin website. Completely free, fully-featured frontend drag & drop page builder. With paid upgrade to Elementor Pro you not only receive additional elements and templates for your website, but also the Theme Builder functionality and you can tweak theme header, footer, pages, posts, archives and 404 error page layouts to your needs! If you are using Beaver Builder page builder, you can also install and activate WebMan Templates plugin which contains a collection of pre-designed row templates for the page builder. It allows creating interesting page layouts fast and with ease. WooCommerce is the world's most favorite eCommerce solution that allows you to sell anything, beautifully. This theme is fully compatible with WooCommerce e-commerce plugin out of the box, so you can start selling immediately. Just install, activate and setup the plugin and you are ready to go! Once you set up your main shop page, by tweaking its options and/or setting the page template, you can actually change the layout and appearance of all shop archive pages. Additional shop related settings can be found in Appearance » Customize » Theme Options » Shop. Since WordPress 4.7 you can set a custom post type page template for WooCommerce products. It supports "With intro widgets" and "No intro" page templates. If you would like to display a custom Intro section image on a single product page, use an intro_image custom field for that. You can enable or disable the sidebar on shop archive pages by setting widgets for "Shop Sidebar" sidebar or leave it empty. Tutorials: If you are new to WooCommerce, you can watch instructional WooCommerce 101 video series, or read the plugin's documentation. Extensions: If you would like to extend the plugin with some fancy new functionality, check out the official WooCommerce extensions list. When using a page builder and hiding the default page title on a special WooCommerce pages (such as Cart, Checkout and My Account page), you loose the ability to adapt your custom page title to an actual page being displayed (such as when previewing orders on your "My Account" page, the page title should read "Orders" instead). This theme resolves this issue by introducing a special %wc_title% placeholder you can use in page or page builder content to display a dynamic page title. Use this plugin to create advanced page/post options metaboxes automatically for better user experience and easier setup of page/post options. Want to remove a sidebar from certain page(s)? Just create a new custom widget area (let's call it "Empty") and set it to replace the "Sidebar" widget area on the specific pages. Once you leave this new widget area empty, with no widgets in it, the sidebar will simply not be displayed on the affected pages. Tip: If you only want to display sidebar on some pages, you can use reverse logic: leave the theme's "Sidebar" empty and create a "Sidebar with widgets" using the plugin and set it to display on the specific pages only. Want to display a different widgets in intro section on certain page? Just create a new custom widget area (let's call it "About page intro widgets", for example) and set it to replace the "Intro Widgets" widget area on the specific page (the "About", for example). Then go ahead and add some widgets into the "About page intro widgets" area in Appearance → Widgets. Alternatively, you can also try using a similar plugin. To choose some of the features included in this plugin: tiled galleries, image lightbox zooming effect, contact form, extra widgets, infinite scroll, better search, social networks sharing buttons, related posts display, CDN, site verification and others. Please note that you will need to connect your Jetpack powered website once the plugin is active to use its features. For more info on the plugin usage and functionality please visit the Jetpack.me website. This theme also supports advanced Jetpack features such as Portfolio and Testimonials content types and customizer content options (found under Appearance » Customize » Content Options). With this plugin you can create a perfect breadcrumbs navigation. Read the instructions on custom plugin setup below. Remove archive page title labels completely, or just hide them accessibly. This theme supports and contains its own WordPress starter content for easy and fast small website deployment. The starter content is displayed in the theme customizer on clear WordPress installation only. Once you save the customizer settings, the starter content will be ported into your website automatically then. If you have already created some posts or pages beforehand, you will not see the theme starter content in theme customizer. Please note that this is only a very basic starter content suitable for small websites and if you want a more robust solution, install the full theme demo content instead. By default the theme displays the page content in 2 columns: H2 level headings in first and all the other page content in second column. This is to make the layout of the page not only prettier, but also more readable. 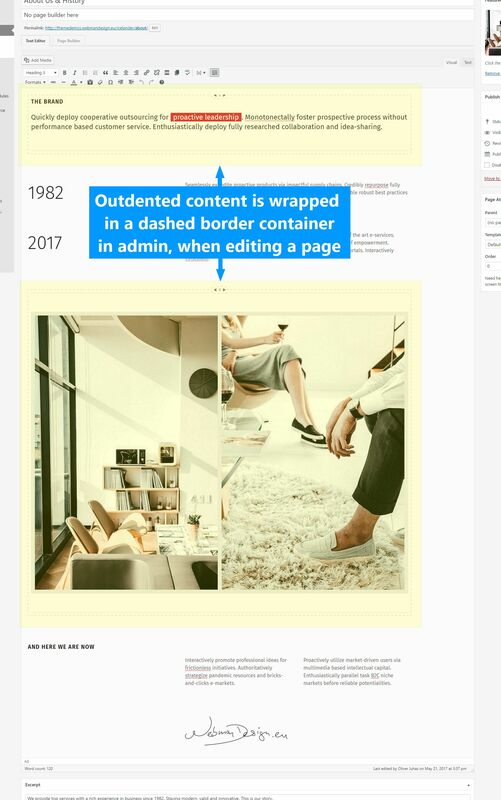 You can then use "Outdented content" in Formats button to make specific sections of your page content fullwidth (span the both columns), if you will. If you, however, decide you would like to use more traditional, single column, fullwidth page content layout, you can set this in theme options in Appearance » Customize » Theme Options » Layout » Content. 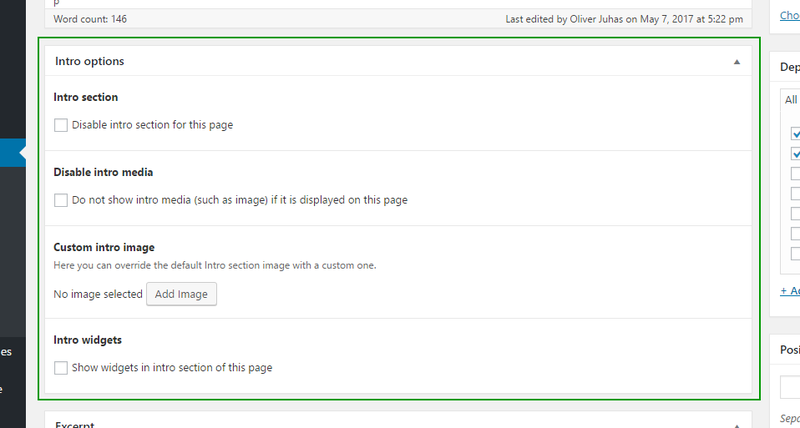 In WordPress admin navigate to Appearance » Customize » Static Front Page (or to Settings » Reading). The theme adds support for excerpts also to WordPress pages. Page excerpt will be displayed in page intro section as well as in child pages list (read more in section about page templates). If the "Excerpt" field is not displayed on a page edit screen, please enable it in the "Screen Options" tab in the upper right corner of the screen. TIP: You can use Rich Text Excerpts plugin for rich formatted excerpts. Page Excerpt content depends on the page you are on. If it is an actual WordPress Page or Post or any custom post type, you can set the "Excerpt" field (enable it in "Screen Options"). On taxonomy archive pages it displays the taxonomy (such as post category or tag) term description which you can set for any/all taxonomy terms in WordPress. If you want to display some description text for the custom post type archive pages too, you need to use a plugin for that. Intro image is taken from your website header images that can be set in Appearance » Customize » Header Media. That image can be then overridden by setting up a post/page featured image, which can be again overridden by setting up a dedicated intro_image custom field. On single pages and posts the image is not displayed by default, unless you set a page featured image (or aforementioned custom field). 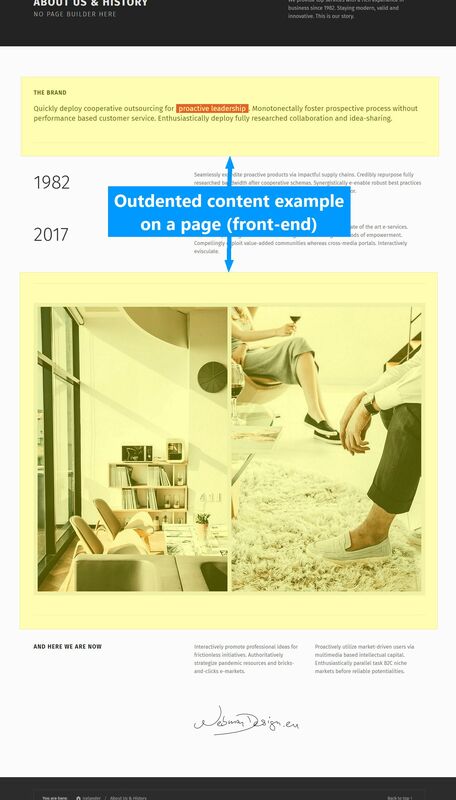 On front page of your website the intro section has a different, special layout with image (or video) background overlayed with a page title and excerpt. And yes, since WordPress 4.7 you can also set a video as a background for your front page intro section in Appearance » Customize » Header Media (please read "Bandwidth considerations" section for info about header video limitations in WordPress). If you are using WooCommerce plugin, intro image is not displayed on single product pages even if you set a product featured image. If you really need to display an intro image there, use aforementioned custom field for that. If you would like to remove the intro section (to set up your own with a page builder, for example), use "No intro" page template (or set up the specific custom field). Colors of intro section can be customized in Appearance » Customize » Theme Options » Colors: Intro. You can additionally display some widgets in the intro section. Just add those widgets into Intro Widgets area and set "With intro widgets" page template for the page or post. There is no header, no intro section, no H1 heading tag and no footer on this page template. This page template works best with a page builder and is suitable for creating custom landing pages. There is an additional "Intro Widgets" widget area displayed in the intro section of this page template. No intro widgets are displayed when the intro section is not displayed on the page or there are no widgets set in "Intro Widgets" sidebar. Since WordPress 4.7 you can set this page template also for posts and WooCommerce products. Use this page template to remove the page intro title section (when you want to set up your own). Only the page content will be displayed. For standard pages, the title will be accessibly hidden. On the other hand, if you are using a Beaver Builder page builder, please, do not forget to set up your custom H1 heading, as it is being completely removed from the page in this case! The same applies for pages that you set to be ready for any other page builder. This page template works best with a page builder. By default, there is no sidebar is displayed on pages. However, if you would like to display a sidebar on a page, use this page template with it. Please set this page template for a parent page only. It will display a list of child pages below the actual (parent) page content. You can tweak each child page display by setting the corresponding page options. There will be a page featured image (you can then even set a different intro image displayed on the actual page with a dedicated custom field), page title, page excerpt and optional "Continue reading" button displayed. "Continue reading" button is displayed only if the page has some actual content. To set up a child page excerpt please use the "Excerpt" field on page edit screen (if the field is not displayed below the page content editor, enable it in "Screen Options" tab in the upper right corner of the screen). If you would like to custom order your child pages, use page "Order" attribute. Or you can use a plugin for this, such as Nested Pages or Intuitive Custom Post Order. The theme is fully compatible with the best front-end page builder plugin for WordPress, the Beaver Builder, which will help you create a complex page layouts with ease! In case you'd like to use a different page builder plugin, the theme was tested and is working with 6 most popular ones and should be compatible with any decently coded page builder. Post excerpt will be displayed in posts list. If no excerpt is set, a portion of post content will take its place in posts list (if set, until <!--more--> tag). If the "Excerpt" field is not displayed on a post edit screen, please enable it in the "Screen Options" tab in the upper right corner of the screen. return 20; // Now we set the excerpt to 20 words. Since WordPress 4.7 you can set a custom post type page template for posts, too. It supports "With intro widgets" and "No intro" page templates. By default WordPress adds some general caption, prefix to the archive page title, such as "Category:" in front of a category name on category archive page. You can disable these using Archive Title plugin. Shop products are added to your website when you are using a WooCommerce e-commerce plugin. You can sell anything on your website: physical goods, downloadable content, services or external/affiliate products. Please refer to WooCommerce documentation for how to create and manage your online shop products. This custom post type is provided via WooCommerce plugin. Use WooCommerce products shortcodes to display products in your page builder layout. Before using Beaver Builder (or other) page builder with this custom post type you need to enable it in your page builder's settings first. Since WordPress 4.7 you can set a custom post type page template for these posts. It supports "With intro widgets" and "No intro" page templates. TIP: For custom posts order you can use a plugin, such as Intuitive Custom Post Order. 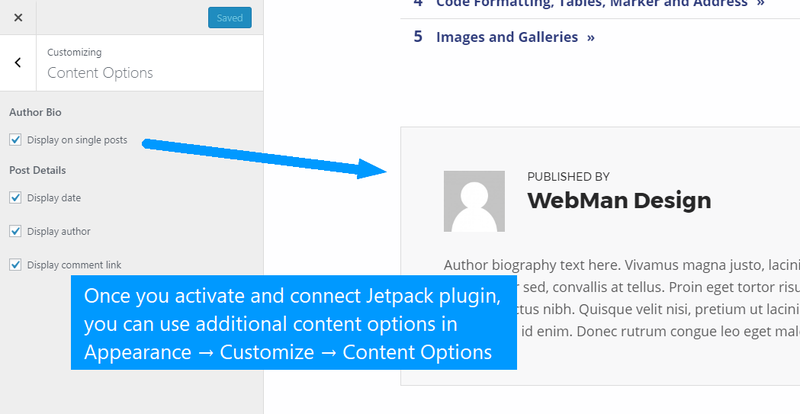 First you will need to enable this post type in Jetpack plugin's options in Jetpack » Settings » Writing in order to use it. For more information about Jetpack Portfolios please visit dedicated information page. To display all portfolio projects on your site, you can use a portfolio archive page link in the navigation. This custom post type is provided via Jetpack plugin. Use Jetpack [portfolio] shortcode to display portfolio projects on your page or in your page builder layout. TIP: If you would like to point the post to a custom URL, try using a Page Links To plugin. The Testimonial custom post type allows you to add, organize, and display your testimonials. For more information about Jetpack Testimonials please visit dedicated information page. To display all testimonials on your site, you can use a testimonials archive page link in the navigation. Use Jetpack [testimonials] shortcode to display testimonials on your page or in your page builder layout. Reykjavik supports WordPress Menus, so you can easily create custom navigational menus directly in Appearance » Menus. Custom menus may contain links to pages, categories, custom links or other content types (use the "Screen Options" tab in upper right corner of the screen to decide which content types to show on the menu edit screen). You can specify a different navigation label for a menu item as well as other attributes. The theme supports menu item description text. To display menus on website you need to assign them to a menu locations or use a Custom Menu widget. The main navigation area in the header of the website displayed next to site logo. Can be nested and hierarchically organized (up to 4 levels deep) and you can use a megamenu here. This is mobile-ready main site navigation menu, but you can disable the mobile menu in Appearance → Customize → Theme Options → Others if needed. The secondary navigation area displays on the right side of the header, before social links menu. This menu can not be nested or hierarchically organized. It is only a secondary, complementary navigation to primary menu and will be displayed as is on mobile device. Please read the "Social Links" documentation section below for more info. You can use a special reverse-expand CSS class on a menu item if you want its sub-menu to open to the other side than the theme's default. For this functionality you will need enable CSS Classes attributes in "Screen Options" tab in the upper right corner of the screen. For this functionality you will need to set the menu item CSS Classes attributes. To enable this attribute, check it in "Screen Options" tab in the upper right corner of the screen. With built in simple megamenu functionality you can display submenu items laid out into multiple columns. To create a megamenu from submenu items just set a megamenu class on the 1st level menu item. This 1st level menu item essentially becomes a wrapper and trigger for your megamenu. Number of columns will be set automatically. Then the 2nd level menu items (first children) becomes captions/titles/headings of the megamenu columns. TIP: You can hide any menu item by applying a hide class on it. This is great for hiding megamenu column captions. The theme currently supports following icons: Behance, Bitbucket, Codepen, Deviantart, Digg, Dribbble, Dropbox, Facebook, Flickr, Foursquare, Github, Google Plus, Instagram, LinkedIn, Medium, Paypal, Pinterest, Pocket, Reddit, Skype, Slack, Slideshare, Snapchat, SoundCloud, Spotify, Stack Overflow, StumbleUpon, Trello, TripAdvisor, Tumblr, Twitch, Twitter, Vimeo, Vine, VK, WordPress, Yelp, YouTube. For links starting with mailto: an envelope icon is applied. For unrecognized links a link chain icon is used. By default, the social links are displayed in the website header and footer only. However, please feel free to use a WordPress native Custom Menu widget to display them anywhere on your website. This widget area is displayed on all posts, archive and search results pages, unless you leave it empty, with no widgets in it. If you want to display a sidebar on a page, use a "With sidebar" page template. If you want to remove a sidebar from certain page(s) only, use Content Aware Sidebars plugin for that. Use this widget area to display additional information in the intro section of the page. If you want to display intro widgets also on archive pages, you can enable this in Appearance » Customize » Theme Options » Layout » Intro. Displays widgets in footer area of the website. This is actually your main footer section. (A WooCommerce specific widget area.) This widget area is displayed on shop page and product archive pages. It basically replaces default sidebar on those pages to make it easier to set up a shop-specific sidebar. If there are no widgets in this sidebar, it won't be displayed and shop page will take the full width. That way you can control even displaying of the sidebar, effectively altering the page layout - limitless options, great flexibility! If a widget is displayed in horizontal widgetized area (such as Intro Widgets or Footer Widgets), you can alter its width using a custom widget CSS class with help of Widget CSS Classes plugin. The theme restyles the display of the post date to special, more pleasing format. To preview this change you need to enable the "Display post date?" widget option. The theme also adds an option to narrow the posts display by specific category. The theme allows you to set a custom widget icon and widget featured image. You can then use a "Text" widget to display a service or a feature in any widgetized area. To enable the custom icon functionality you also need some plugin that will load the icons to your website first. You can use any plugin for this, Ionicons Official or Better Font Awesome plugin, for example. Then just set up the correct icon CSS class (get those from the Ionicons or Font Awesome website, for example) into the widget's "Set icon CSS class" option field and the icon will be displayed correctly. If you don't use any icons plugin and no icons are loaded on your website, the fallback ? (question mark) will be displayed instead of the unrecognized icon (if the widget's "Set icon CSS class" option field is set). Alternatively, the theme actually loads Genericons Neue icons to provide the utility icons set. If you are OK with this limited icons set and want to use one of its icons, then you don't have to load an additional icons to your website via plugin. Just add a proper icon class you can obtain from Genericons website, such as genericons-neue genericons-neue-anchor (How to get this class?). The theme starter content actually uses this approach too. You can access it navigating to Appearance » Customize. All the changes you make in Customizer will be immediately displayed in the theme preview. However, these changes will not be saved until you press the [Save & Publish] button. You can set up your site's title, tagline and logo, header images and video, manage navigational menu locations and widget areas, set up a front and blog page, theme colors, layout, predefined texts and typography. The theme is coded semantically, with best SEO practices in mind, meaning it is ready to be displayed on top of search results in search engines such as Google. Every WordPress theme contains some texts that need to be translated into your language if you are building a non-English website. This theme if fully translation ready and also supports Right-To-Left (RTL) languages. Make a copy of the original reykjavik/languages/reykjavik.pot file. Upload translated en_GB.mo file into your WordPress language directory, such as /wp-content/languages/themes/reykjavik/en_GB.mo. REMINDER: When you update the theme, all custom translation files will be deleted from /wp-content/themes/reykjavik/languages folder. Do not place custom translation files into that folder! If you are lucky, your plugin contains your language localization files already and you don't have to do anything. But if you need to translate the plugin into your language, the best advice is to check the plugin's documentation for instructions. If you have obtained the theme from WordPress.org themes repository, please translate the theme by clicking the Translate Reykjavik link in theme page sidebar. Accessibility in web design means creating web pages that everyone can use, regardless of hardware, software, or any sensory or physical impairment. While this is a complex process that includes a website content strategy, the Reykjavik theme helps you with being accessibility ready. It complies to and surpasses the WordPress accessibility requirements and was built to pass the WCAG 2.0 level AA and Section 508 requirements. The theme itself contains and applies proper headings structure, uses ARIA landmark roles and attributes, adds informative "read more" links, keyboard accessible navigation (applied also on mobile navigation), skip links, the default color scheme complies to WCAG 2.0 level AA color contrast ratio, and others. Please note that to make your website fully accessible, you need to apply accessibility guidelines also to your website content. For further information please read WordPress Codex on accessibility. The single post page (and the actual default page layout) was designed very carefully to provide the best reading experience for your visitors. The maximum line width is around 70 characters with properly set line height and spacing around elements to provide great readability of your content. The theme outputs only one first-level heading (HTML tag <h1>) on each page. This is set up for the main page/post/archive title in the main content area of the page. Please read more about exception when using "No intro" page template. On some pages the main h1 heading might be hidden from the view with .screen-reader-text class, which is perfectly accessible, though. Page's HTML body title (the site title set in Settings » General) is outputted with h2 heading size, leaving the h1 size for the main page/post/archive title in the actual website main content area. The only exception from this rule is on your website front page (the homepage) where the site title is outputted with h1 heading size. The theme follows the best practice by hierarchically organizing heading levels, not skipping any of them. For example, h3 headings can be found only in a section titled with level h2 heading (and not h1). This rule is applied also in the theme demo content and you should do the same in your website content too. In case you would like to test your website headings hierarchy, there is a great Chrome browser extension for this called HeadingsMap. You should never use heading levels to style the text for decorative purposes! In case this is required, please use helper CSS formats (classes) such as .h1, .h2, .h3 or .display-1, .display-2, .display-3, .display-4 to override any HTML heading or paragraph default styling. If you need to make any styling or functional changes to the theme, please use the WordPress native child theme functionality. This way you can continue updating the parent (original) Reykjavik theme without any worry of your changes being overwritten as all your custom styles and functionality are kept in a child theme. You can read more about child themes on WordPress Codex pages. If you also want to change the functionality of the original Reykjavik theme, do so in YOUR_CHILD_THEME/functions.php file. You can freely modify any theme function or class method there by hooking onto the specific "pre" filter or unhooking the function altogether (see below for how to use filter and action hooks). The theme is coded according to WordPress coding standards and is full of action and filter hooks. You can easily hook onto these to alter functions outputs (or short-circuit the whole functions - the wmhook_HOOKNAME_pre filter hooks) or alter parameters and variables, to add your own theme or design options, layouts and much more! Please check the theme's source code for which hook to use (you can simply search for "do_action(" or "apply_filters(", respectively), or contact WebMan Design Support Center for more details and tips. Reykjavik theme also uses the Theme Hook Alliance hooks too. This is useful to entirely rebuild the theme structure or add your own sections anywhere in the theme. The whole theme front-end structure setup can be found in files inside the reykjavik/includes/frontend folder. How to use any page builder plugin? How to set up and use a custom font? Google Fonts or Typekit setup. How to set up breadcrumbs? What are custom fields and how to use them? The theme is 100% compatible with Beaver Builder page builder plugin (and also Beaver Themer plugin). It works wonderfully with this most powerful and easy to use page builder. Besides this, the theme is compatible also with Elementor Pro's plugin's Theme Builder! So you can use use either Beaver Themer or Elementor Pro to tweak the theme layouts heavily. Just use whichever you prefer. The theme was also tested and is working perfectly fine with 6 of the most popular page builders (paid and free ones; see "Compatibility" section aside) and should be compatible with any decently coded page builder plugin. Can I use page builder with any post type? To use a page builder on posts or custom post types, you will probably need to enable those post types in your page builder plugin settings first. This is different with every plugin and you should find the information in your plugin's documentation. 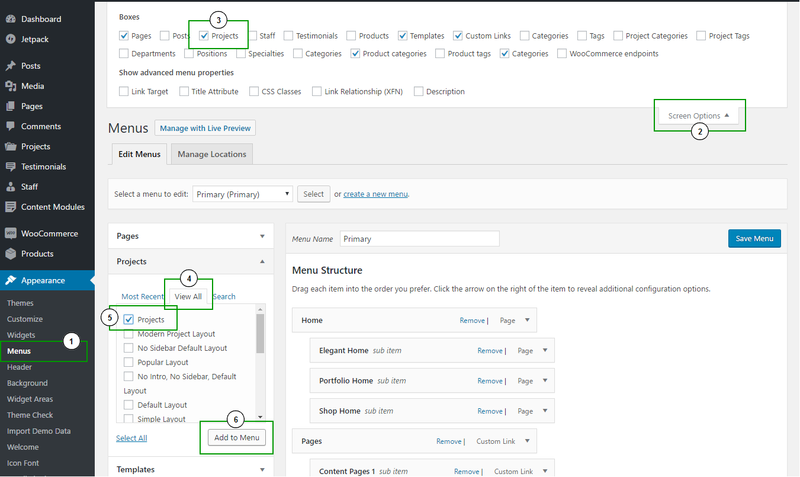 With Beaver Builder you can set these in Settings » Page Builder » Post Types. Yes, this theme predefines some useful CSS classes for you so you can use them in your page builder elements, shortcodes or directly in the HTML of your page or post. These custom special CSS classes will modify the appearance of your website elements. For full, up-to-date list of these classes and instructions on how to use them, please, refer to the "Helper CSS classes" page at the theme demo website. All of these classes are integrated with Beaver Builder page builder CSS field for easier usage. Instead of restricting you to using either Google Fonts or Typekit fonts (or any other fonts provider) built within the theme, you have the luxury of choosing your own preferred fonts provider (or using web safe fonts) with the Reykjavik WordPress theme. There are multiple different custom fonts plugins you can use, such as Easy Google Fonts, Typekit Fonts for WordPress or Font Squirrel (unofficial). All the information regarding the theme typography and fonts setup can be found in Appearance » Customize » Theme Options » Typography. For more thorough and flexible procedure you can watch a video on how to change any font on any WordPress website. For using a child theme to add custom fonts, please read/watch How to Add Custom Fonts in WordPress. Every European website has to conform European Union guidelines on privacy and data protection and inform users about cookies being set by the website. There are multiple ways to go about this with WordPress, you can use a plugin for that, or set a notification with Cookie Consent by Insites script (there is also a plugin for this script). In case you would like to customize the theme's error 404 page and you do not want to touch a line of code, you can do so easily with a help of a 404page plugin. Or, you can use Beaver Themer plugin too. The theme supports Breadcrumb NavXT plugin that allows very flexible set up and display of breadcrumbs navigation on your website. After you install and activate the plugin, the theme displays the breadcrumbs navigation in preset location (you can change this in Appearance » Customize » Theme Options » Layout). Settings » Breadcrumb NavXT » General » "Breadcrumbs Separator"
Set to <span class="sep"> / </span>. Settings » Breadcrumb NavXT » General » "Home Template"
Settings » Breadcrumb NavXT » General » "Home Template (Unlinked)"
The "Back to top" link above will only be displayed in breadcrumbs navigation below the page/post content. There are times you need to display tabular data in your posts and/or pages. This is not an easy task in WordPress if you are not familiar with HTML coding as there is no out-of-the-box tool to create HTML tables in post editor. But, there is an easy fix for the issue: try using TablePress plugin. To speed up the website loading time consider using a CDN on your images. You can try Jetpack's Photon or CloudFlare (or any other CDN). 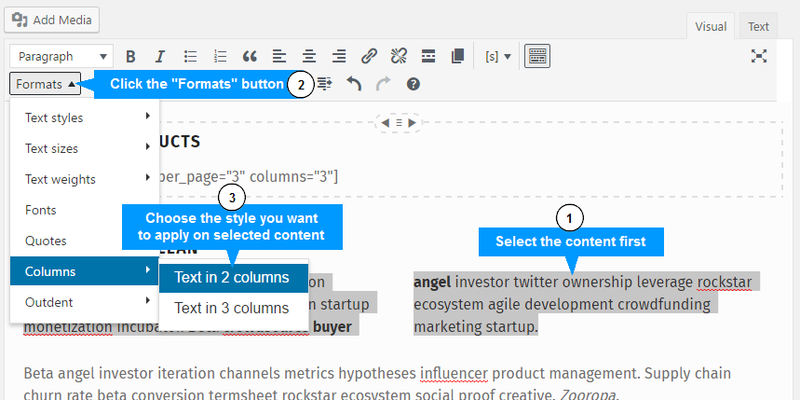 The theme adds a new Formats button to the visual editor of WordPress posts/pages. Please use this button to create a special elements, such as pullquotes, cite source, inline code, super/sub-scripts, uppercase text, highlighted (marked) text, outdented content. The theme supports WordPress editor stylesheet, making the experience of writing post or page content truly WYSIWYG. The width of the edited post or page content is the same as it is on the front-end of your website, specifically set for the best readability. If you edit a page, the content width depends also on the page template you are using. Apply the "Dropcap Text" format on the paragraph of text, not on a single character. Please note that this only applies the heading CSS styles on the selected text. It does not apply the actual HTML heading tag, thus making it convenient way of separating styles from structure. Please note that content outdentation will only be visible on your website front-end and not in the content editor. This is due to limitations of the content editor size. To allow more control over pages and posts appearance, the theme uses some predefined custom fields. You can use the WordPress native custom fields interface, but for the best experience it is recommended to install and activate the Advanced Custom Fields plugin. The theme is compatible with this plugin out of the box and automatically creates easy-to-use metaboxes for you for all its options (custom fields). If you prefer to use a different custom fields plugin, you need to set the plugin up according to information provided below. For easy setup of these custom fields please use the ACF metabox (click to preview). Disables Intro section for the current page/post. With supported post types (pages, posts and WooCommerce products) you can preferably use a special page template instead. Removes any intro media (such as image) from the particular page. Overrides the default intro section image with a custom one. Displays Intro Widgets area if Intro section is displayed. For easy setup of these custom fields please use the ACF metabox (click to preview). The metabox is only displayed for pages set as a child of some parent page. Removes the page thumbnail (featured image) from the list of child pages on the parent page. These custom fields can be set for any post type only if you are not using Beaver Builder page builder. Why the theme uses a custom field for this instead of a page template? For better flexibility. If this custom field was replaced with a custom page template, you could not use a different page template on that specific page or post. The theme allows you to use any page template you like while also preparing it for your page builder plugin custom layout. For easy setup of these custom fields please use the ACF metabox in the sidebar of page/post edit screen (click to preview). Prepares the content area of the page/post for use with your page builder plugin. You don't need to set this if you are using Beaver Builder. For very easy setup of custom fields please install and activate the Advanced Custom Fields plugin. 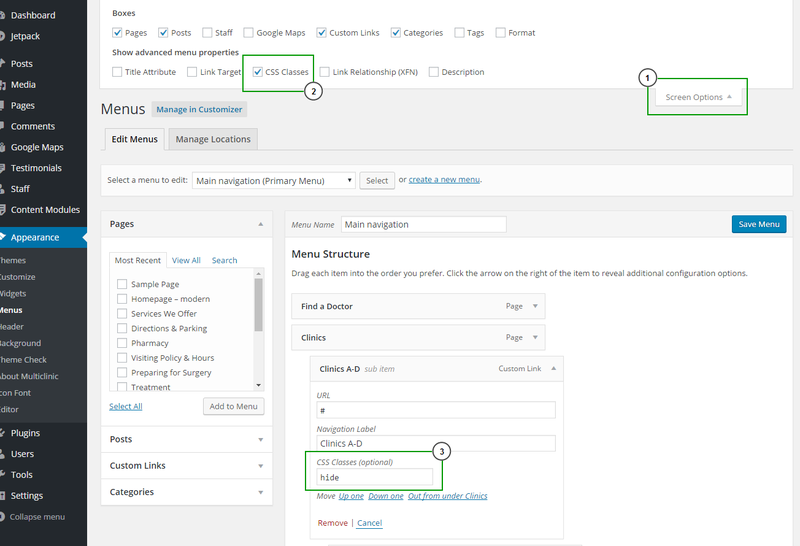 Once you activate this plugin, the theme will automatically create metaboxes for all custom fields it uses for specific post types. We recommend at least enabling the basic browser caching and GZIP compression of your website. However, you get better results using a dedicated caching solution such as WP Rocket (or try other WordPress caching plugin, like WP Super Cache). Alternatively use a child theme. Once again, thank you for using Reykjavik WordPress theme. If you have any questions that are beyond the scope of this user manual, please join WebMan Design Support Center. I will do my best to assist you.